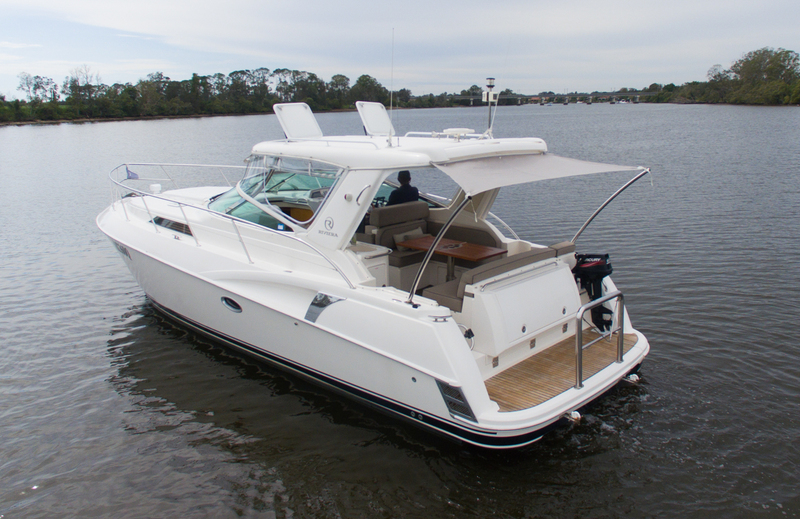 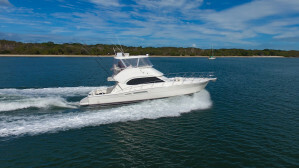 Riviera's evolution of the very popular M370 Sports Cruiser! 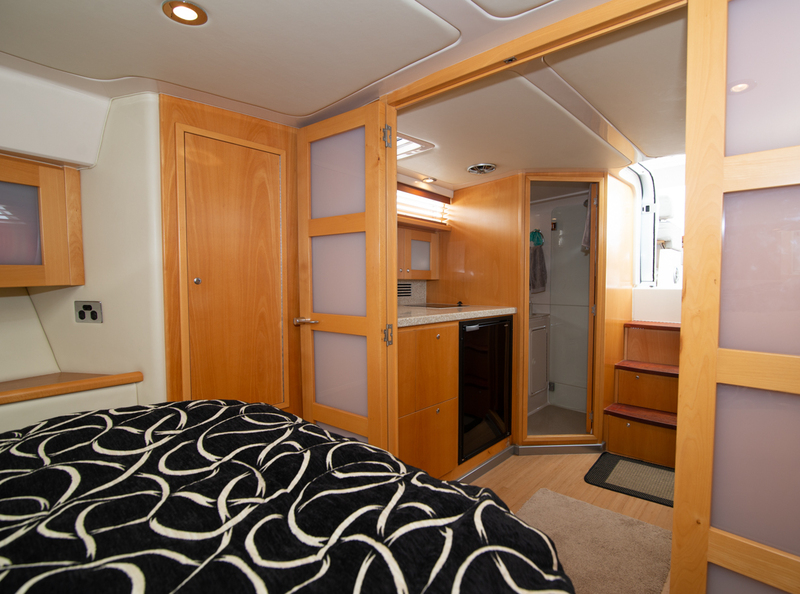 We added a fibreglass hardtop to keep the temperature down, opened up the layout downstairs to make it more flowing, and added extra natural light. 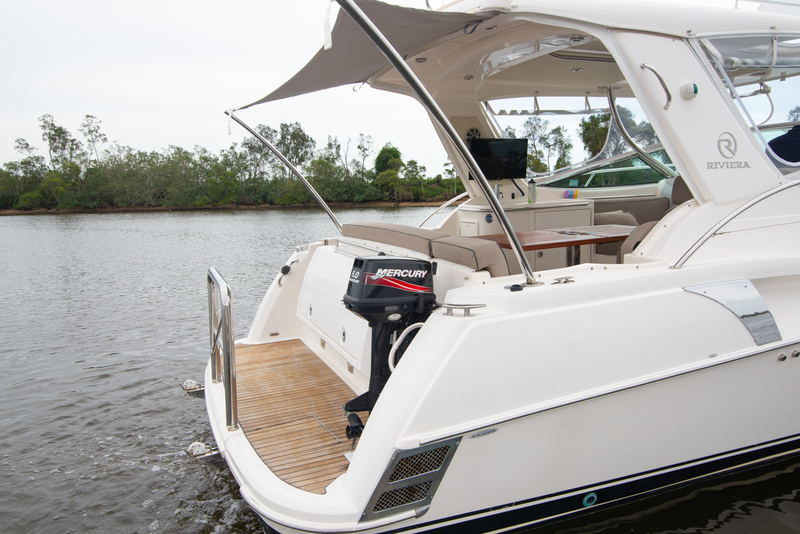 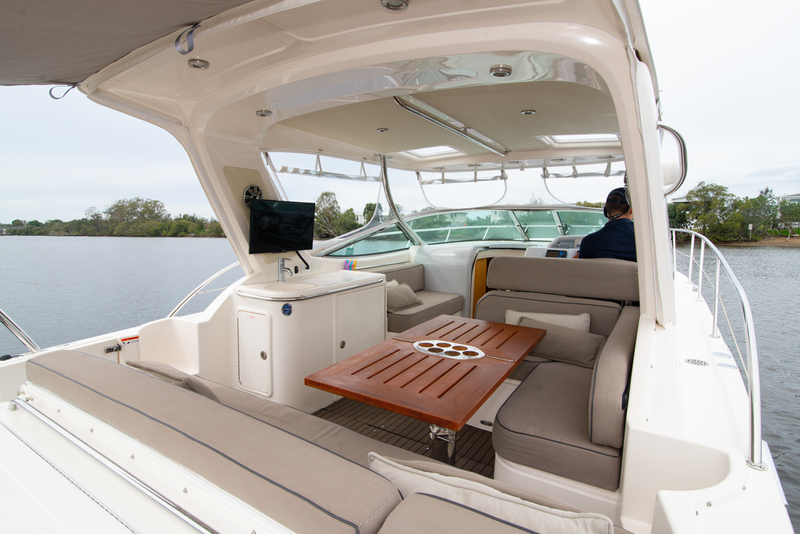 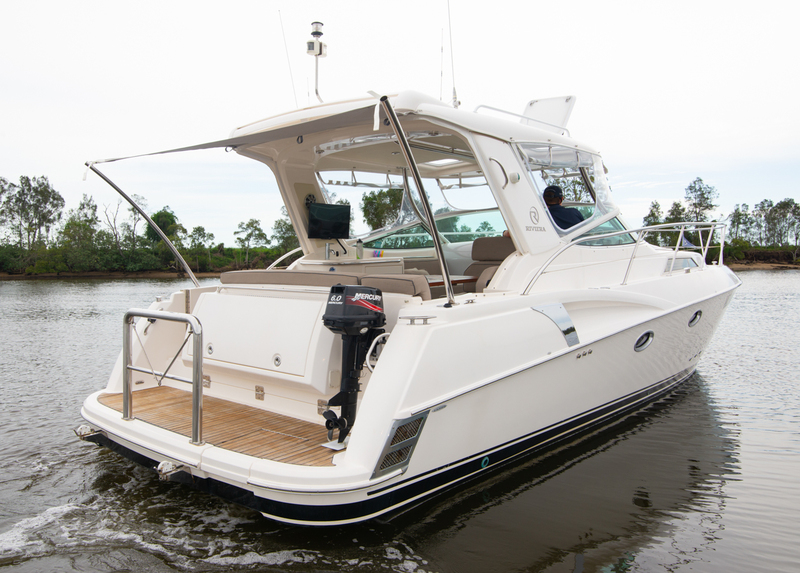 The engine configuration on this model was twin Mercruiser 6.2L sterndrives, with electronic controls, and Bravo 3 drives - what a great package! 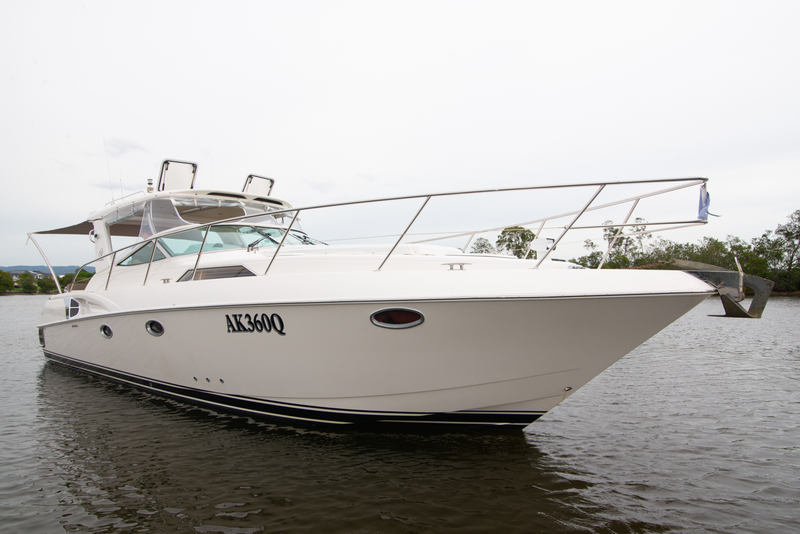 This particular boat has been in the RMJ family since new, and has always been a well cared for vessel. 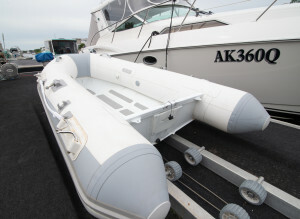 Recently she has had new cockpit storm covers, near new clears in very good condition, re-upholstered sun-pad to match upholstery in the cockpit, and the original Swift Marine tender re-tubed. 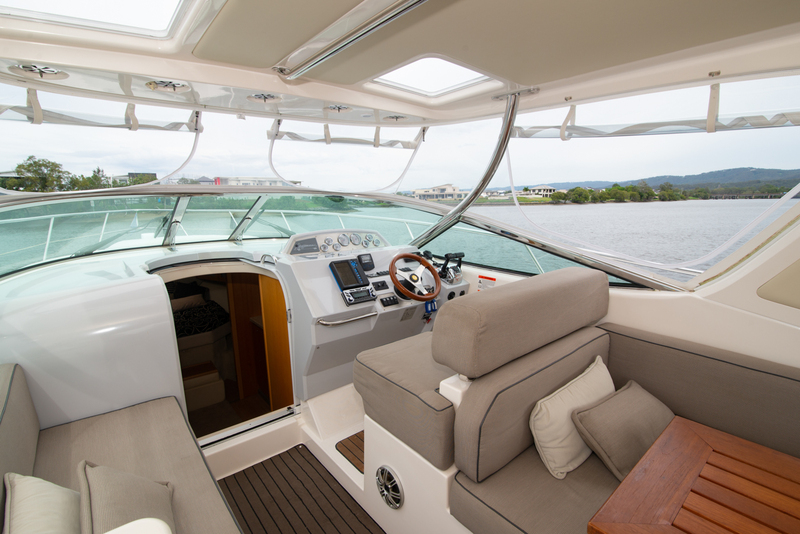 With an owner this fastidious it does not stop there, all deck hatches have been removed and re-sealed - including the glass windscreen. They have also done everything needed in the engine room - items that come to mind are a new heat exhanger, exhaust risers, steering pins, rebuilt raw water pumps, toilet treatment system, and a new engine room fire supression system. 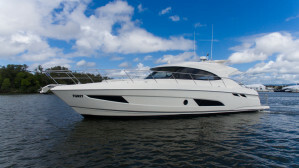 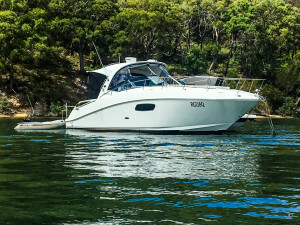 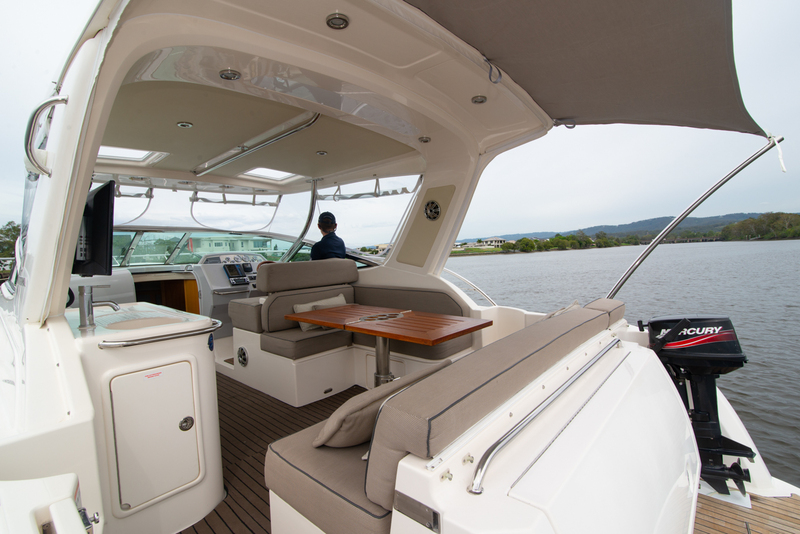 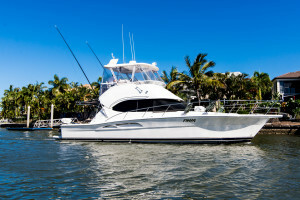 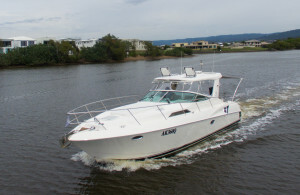 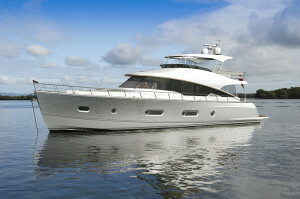 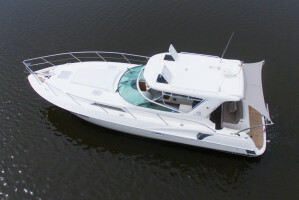 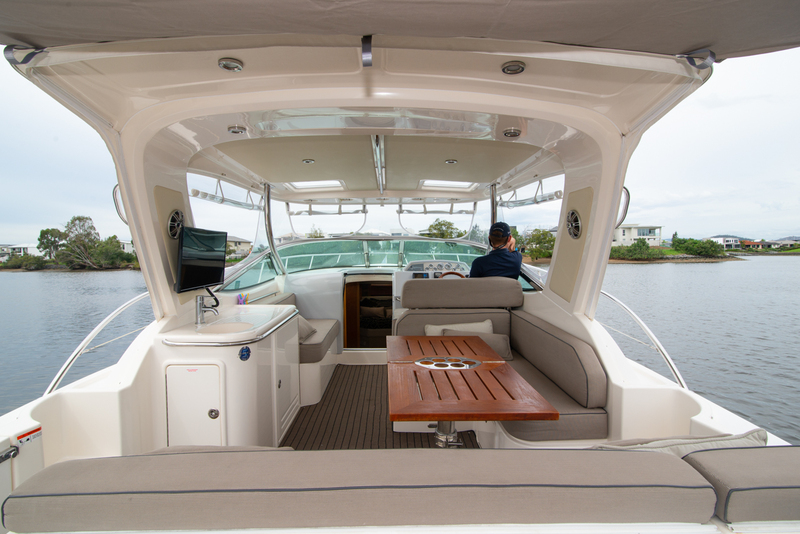 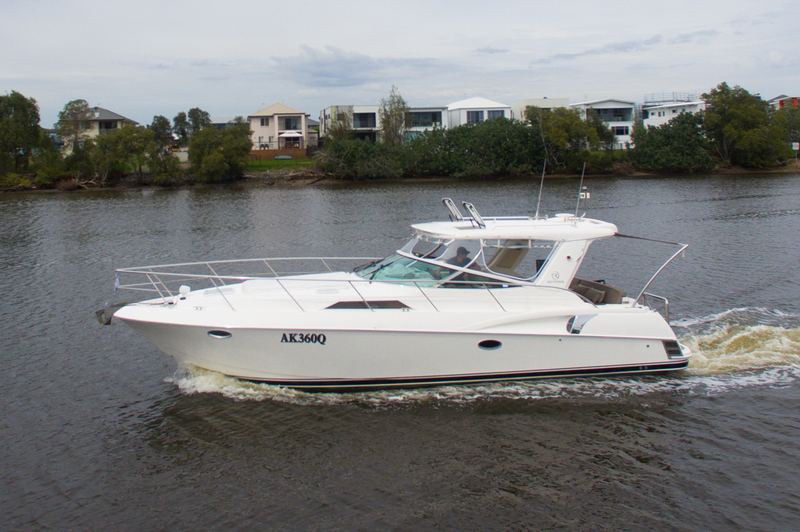 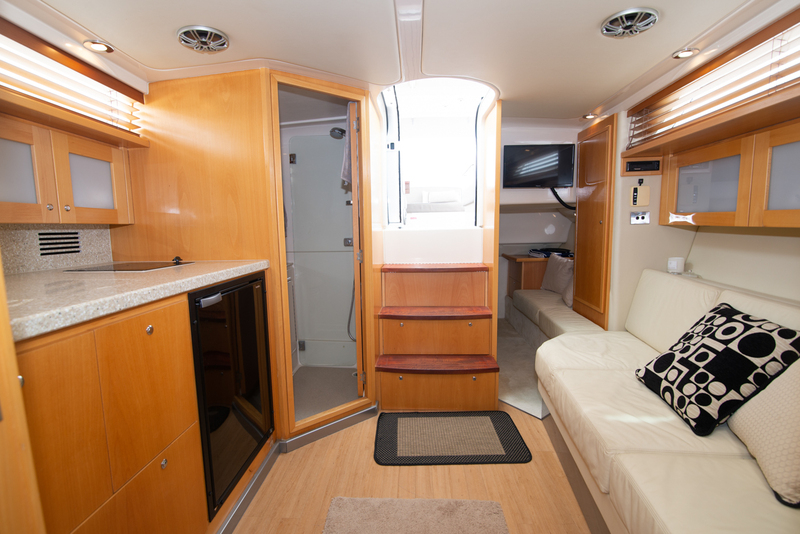 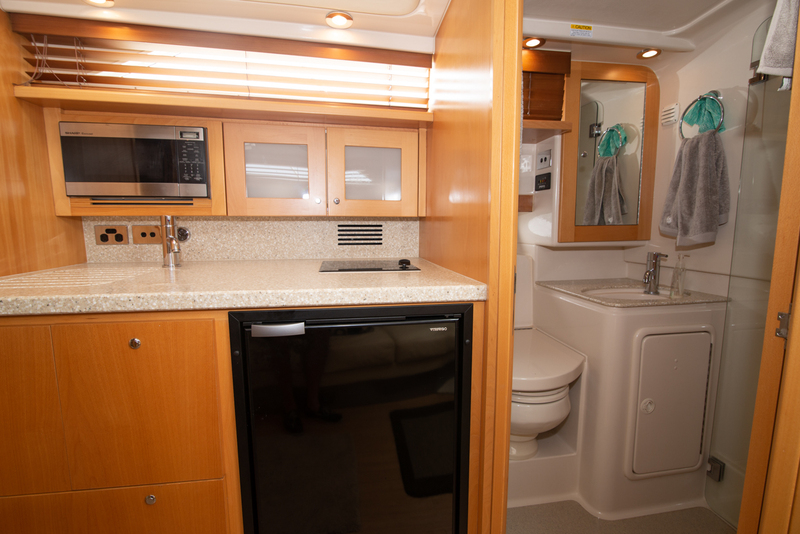 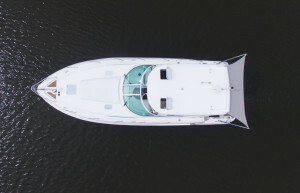 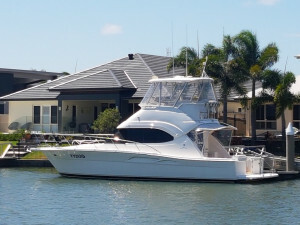 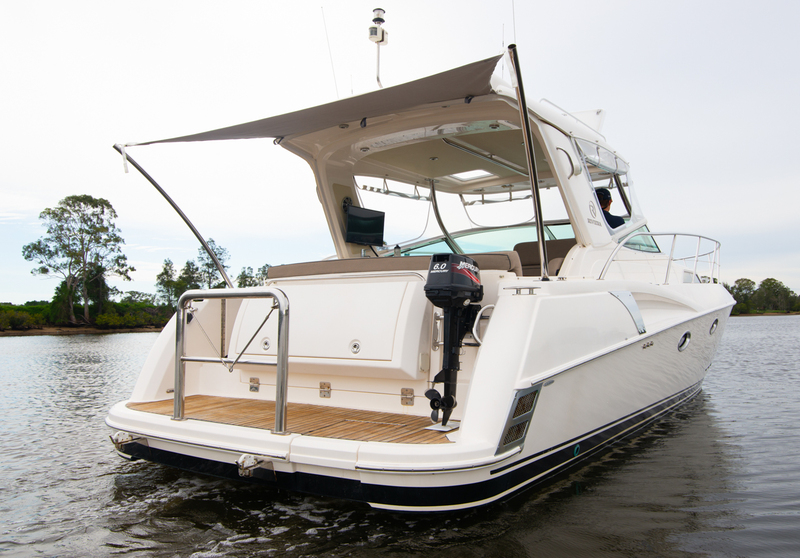 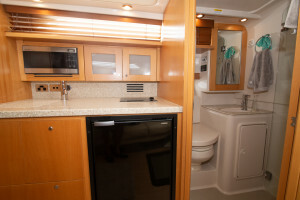 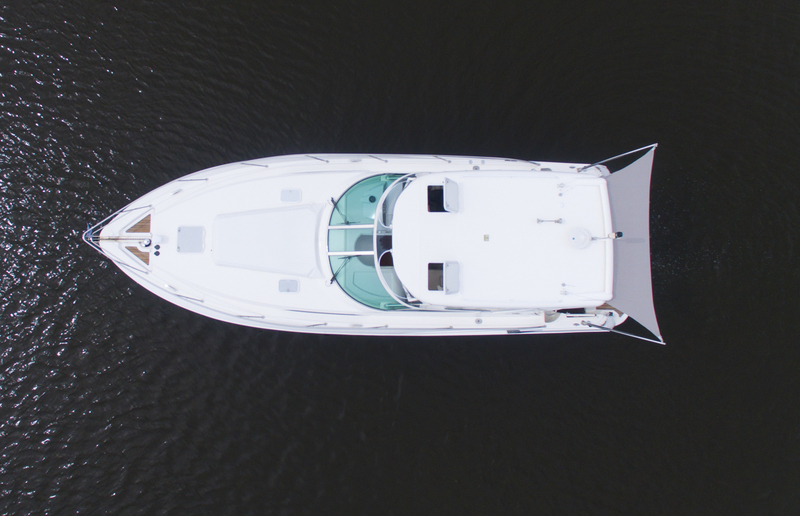 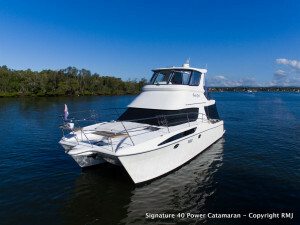 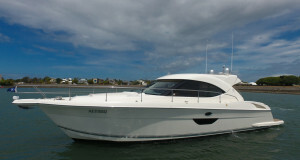 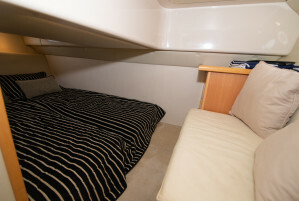 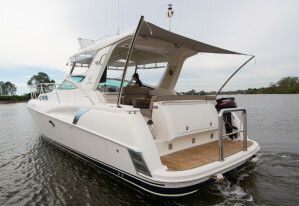 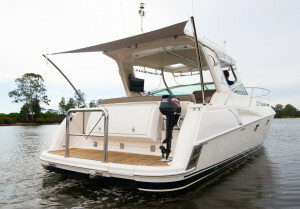 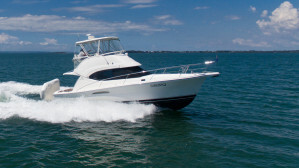 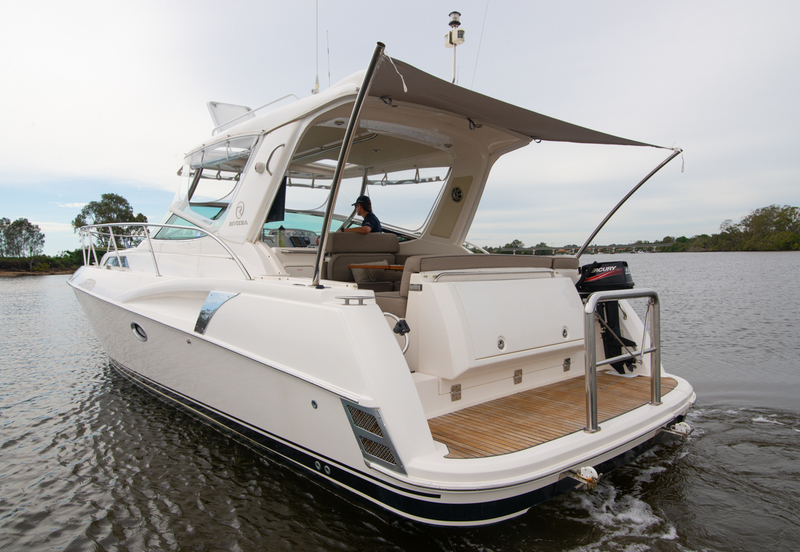 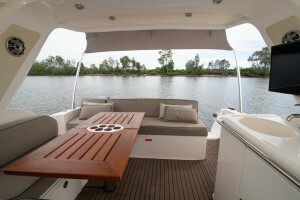 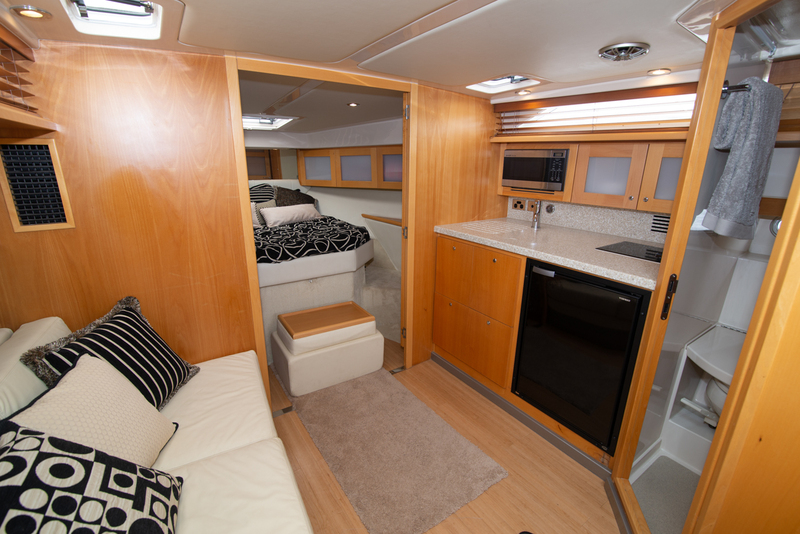 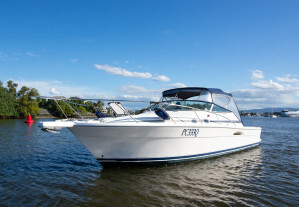 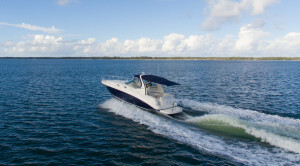 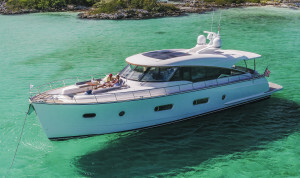 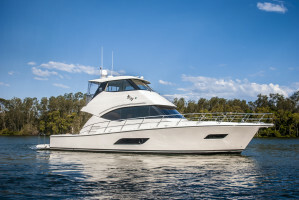 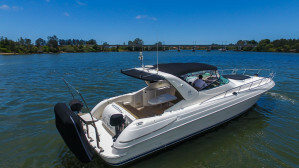 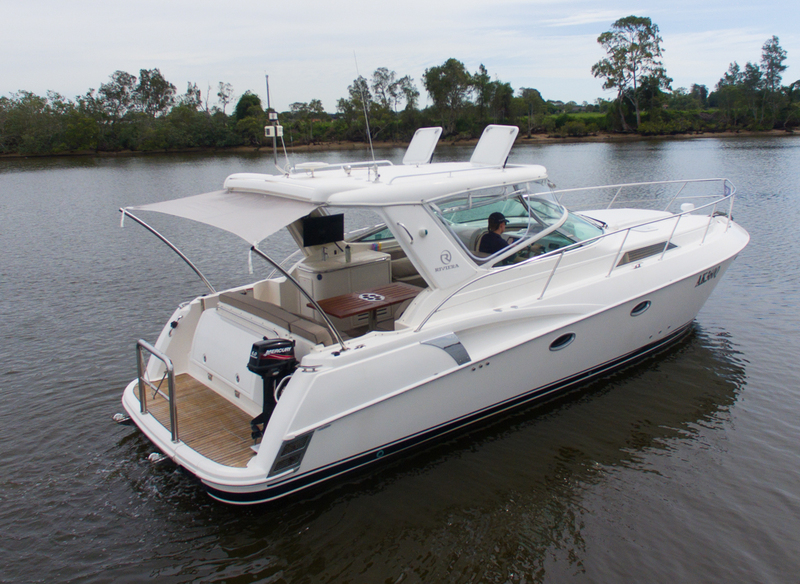 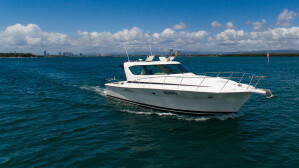 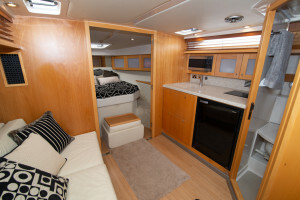 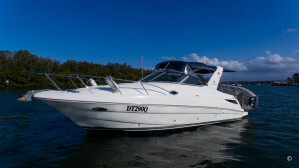 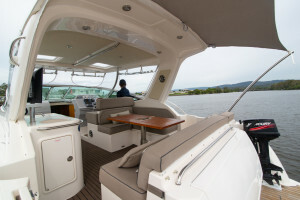 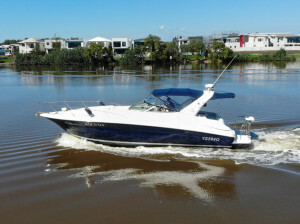 She is a very tidy boat, and listed exclusively with the sales office based at the home of Riviera. 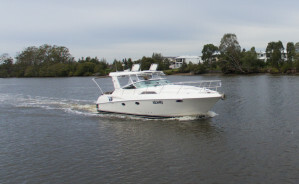 Contact Sam Phillips on 0403 515 778 to arrange your inspection. 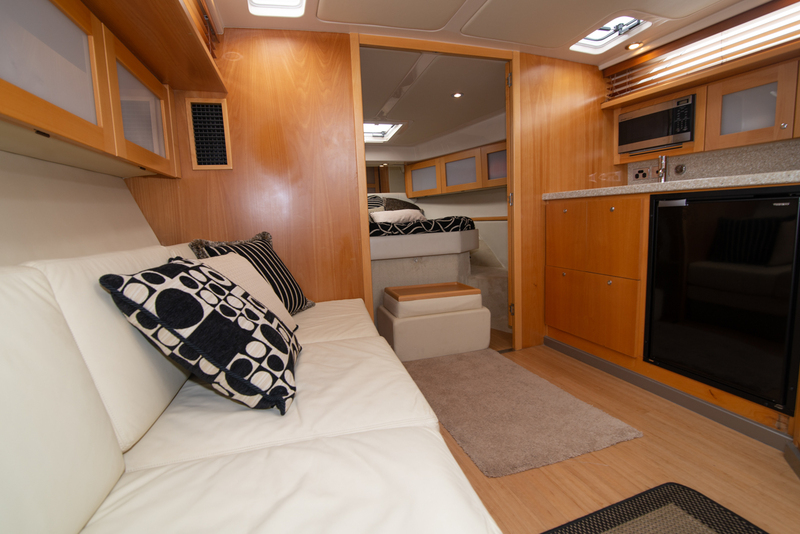 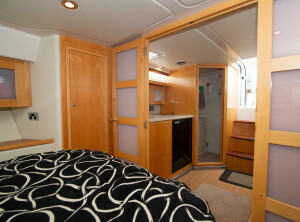 Accomodation Notes : Twin Cabin layout, 1 forward island bed and two singles. Refrigeration : Replaced galley fridge, cockpit fridge and icemaker. Anchor / Winch : Muir anchor winch with chain counter to helm. 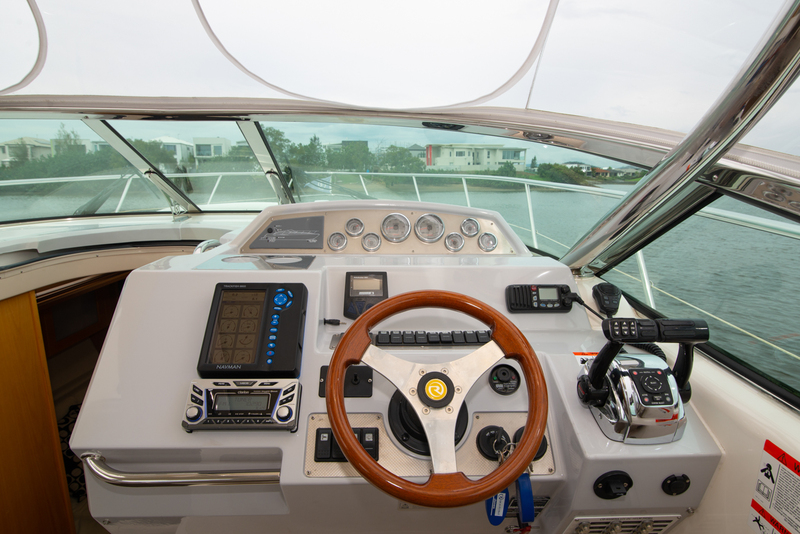 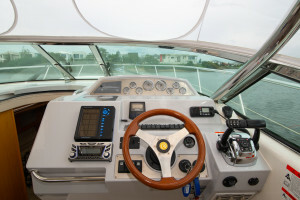 Electronics Navigation : Navman GPS & Sounder, with integrated engine data display. 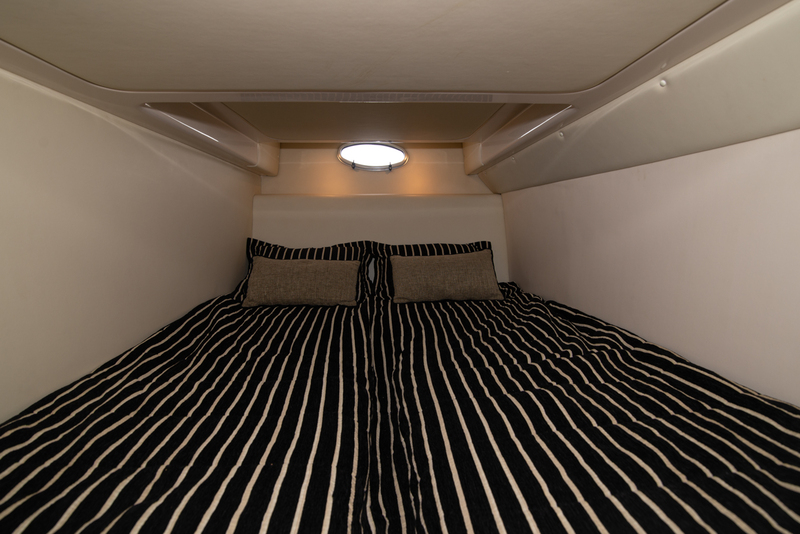 Covers : New cockpit storm covers, new sunpad upholstery. 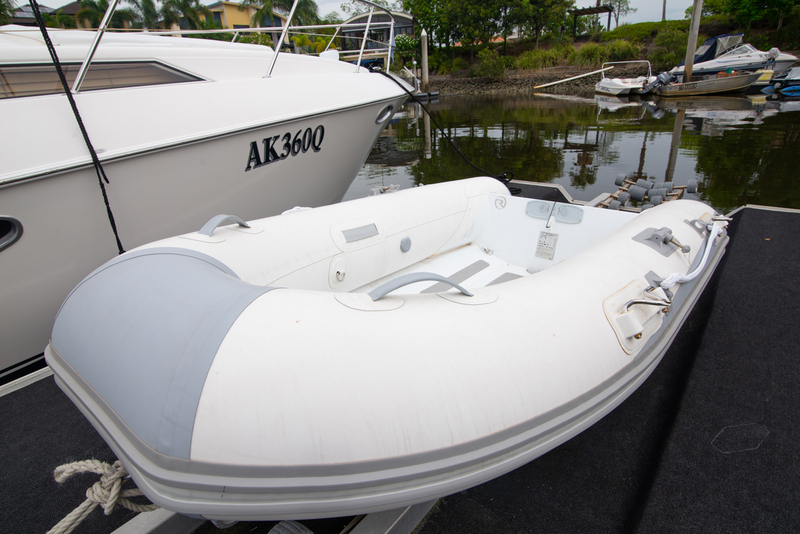 Near new clears (very good condition).